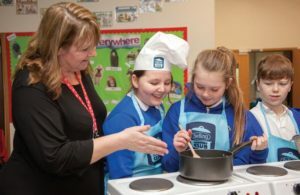 UK home appliance brand Belling has re-launched Belling Cookery Club, an initiative to support primary schools and enable them to provide practical cookery classes for children. 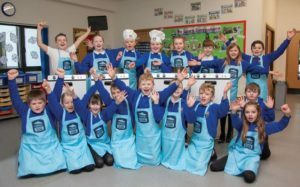 The first phase of the initiative was a huge success, with schools in Dumfries and London winning an array of cooking appliances and accessories that have transformed their ability to provide hand-on cooking sessions, as well as supporting their local communities. Belling Cookery Club was launched to support the estimated 75% of primary schools that don¹t have a teaching kitchen. For this reason, and despite cooking and nutrition now forming part of the curriculum across the UK, it is believed that the majority of Key Stage 1 and 2 pupils don¹t receive practical cookery experiences. Belling, which has been at the heart of British cooking for more than a century, is hoping the Cookery Club initiative will play a part in helping the next generation embrace a love of cooking. Every year, Belling will award two primary schools with up to £2,000 worth of cooking appliances, along with fun cooking accessories for the children to use. The competition is open to all primary schools, with pupils asked to produce a picture of their favourite nutritionally balanced meal, along with a description of why they like it so much and why it¹s good for them. Pupils can work on the entry individually or as a class, and each school is asked to select a single entry to be sent to Belling alongside a brief explanation from a member of teaching staff about the school¹s existing facilities and what winning the prize would enable them to do. Entries can be as fun and creative as the children like. Jane Rylands, Head of Marketing Communications at Belling, said: “We had a great response to Cookery Club last year and we loved looking at all the entries.